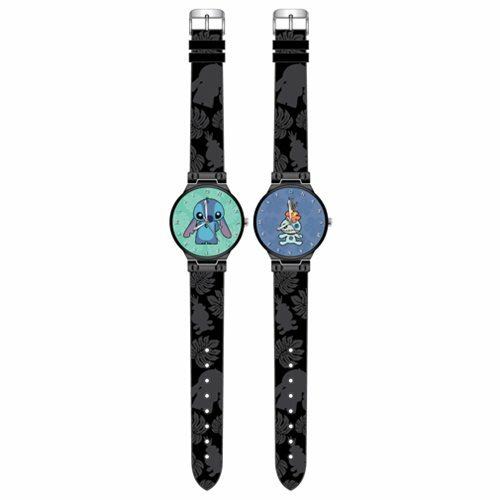 Carry a little piece of Lilo and Stitch everywhere you go with this Scrump and Stitch Watch Set! This watch set features two strap watches with different face designs. This perfectly matched set is great to share or give as a gift for any Disney fan in your life! Each strap measures approximately 8 1/2-inches long and the face is about 1 3/4-inches in diameter. Watches comes packaged in a displayable box. Ages 13 and up.